Chinese state media outlet Xinhua estimates that the government will organize trips for 14,000 Chinese citizens to Mecca, Saudi Arabia, to conduct the traditional Muslim pilgrimage to the holy city. The news follows months of crackdowns on ethnic Uighur Muslims in the western state of Xinjiang. According to Xinhua, 297 Chinese Muslims left to Mecca this Friday, and are the first in a cluster of thousands of people for whom the Chinese government will organize flights to the city by the end of the year. The trips will all fly out of Ningxia, a central Chinese province with a significant Muslim population. 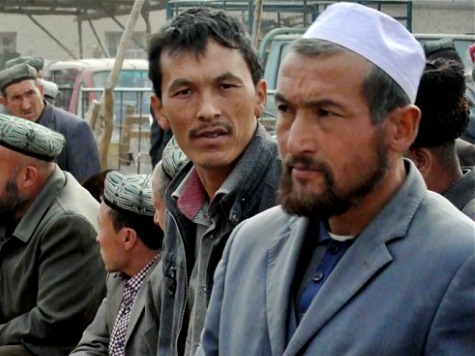 According to Jin Pu of the Ningxia Regional Administration of Religious Affairs, most of these individuals belong to the ethnic Hui minority and follow Islam. The first series of trips began last week; citizens are expected to return on October 15. Pu added, “we also drafted a contingency plan on the novel coronavirus and the Ebola virus,” but Xinhua does not elaborate on what this means. The Xinhua report on the Mecca pilgrimages did not mention ethnic Uighurs, instead noting that ethnic Hui are largely Muslim. It also did not mention measures the Chinese government has taken to crack down on Islam as a religion itself, including the public observation of the holy month of Ramadan, public fasting, and wearing large beards and Islamic clothing on public transportation.